Dressed in a stunning dark brown Ecuadorian wrapper, this cigar is silky to the touch. The aroma out of the 20 count box is a clever combination of sweet cedar, & earth. It is an undeniably smooth & complex smoke that is perfectly balance from start to finish. This special release provides a remarkable smoking experience with notes of cream, hay, caramel, & hints of white pepper. Further along, the 6 x 52 box pressed cigar intensifies with spicy notes that make their way to the forefront without overpowering the flavors of cream, cinnamon, espresso and caramel. Viaje Honey and Hand Grenades is a Nicaraguan puro utilizing 100% AGANORSA tobaccos, featuring a Nicaraguan Criollo wrapper. The vitolas are all inverse torpedos with a tapered foot and a rounded cap and a distinctive bright, metallic red wrapping that covers the cigar from the bottom of the band to the end of the foot. 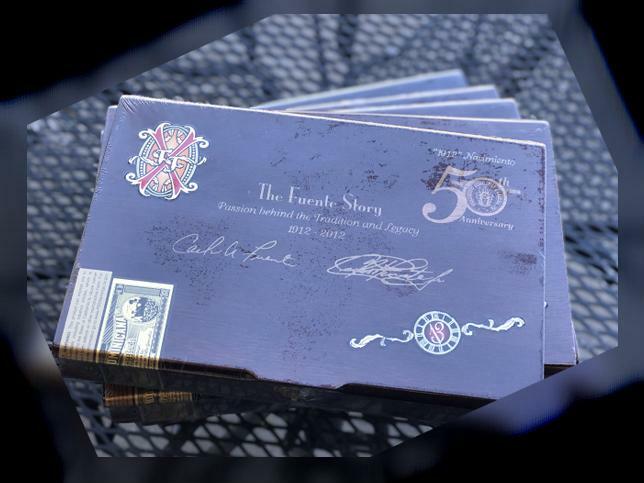 THESE ARE SUPER LIMITED CIGARS! Pointed like a spear and the head has a small hole representing a bee sting, the Viaje HHG is made at Fábrica de Tabacos Raíces Cubanas S. de R.L. (Raíces Cubanas) in Danli, Honduras. Their medium-full strength express tasting notes of espresso, dark chocolate, leather, cedar wood, a hint of cane sugar. These Unique Viaje cigars are suited for the most sophisticated smoker with their bold & complex profile! 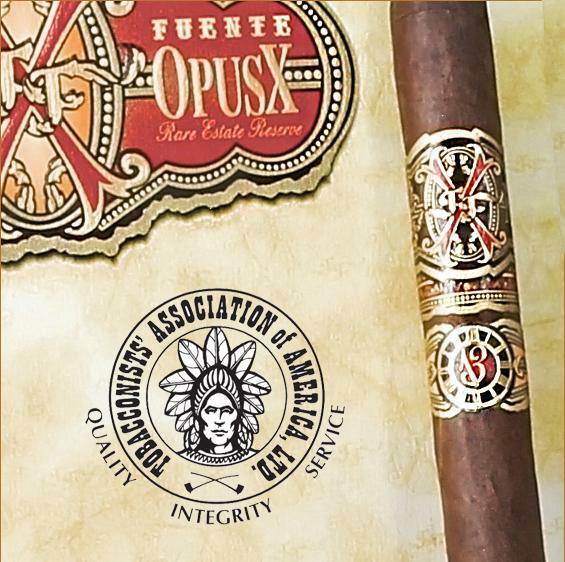 Incredibly rare Arturo Fuente Opus X Forbidden X TAA 2018 IN STOCK TODAY! The TAA is an acronym for ‘Tobacconists’ Association of America, Ltd.’, a trade organization established in 1968 by seven visionary retail tobacconists & currently consisting of about 80 retail & around 34 manufacturer members. It proudly celebrated its 50th year in 2018. The purpose of the TAA has evolved over the years but its current form is mostly for retailers like us here at Anthony’s to give feedback to the manufacturers and they in turn let us know their future plans. 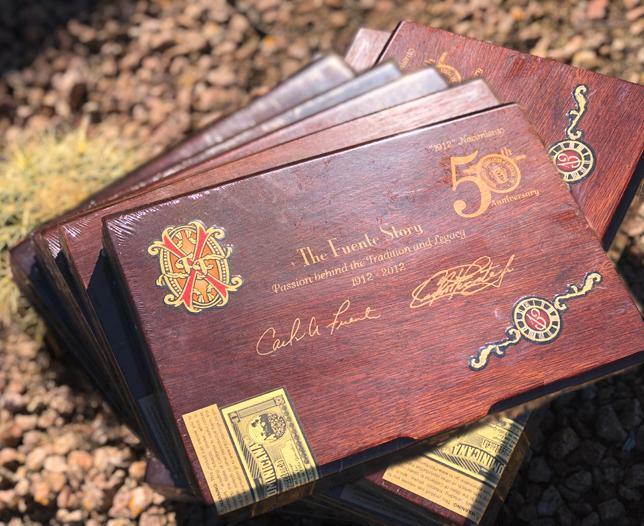 A very special piece of the TAA are the unique & super rare cigars created specifically for those within the TAA, especially on its 50th anniversary. This 5⅛ x 43 Petite Corona is truly a rare & limited cigar, featuring only the finest tobaccos the D. R. has to offer. The wrapper is an attractive maduro promising lots of strength. Savor the hints of leather, oak, & caramel in each puff! 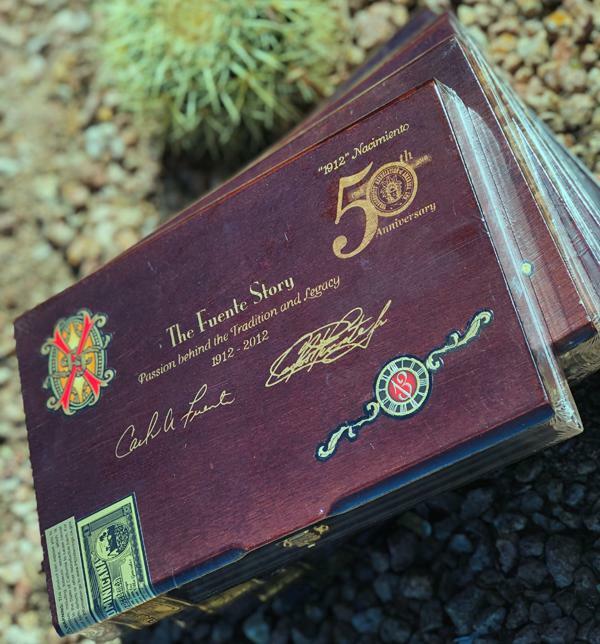 Luxuriously provided in decorated wooden 13 count boxes, Arturo Fuente went all out with this 5¼ x 50 robusto cigar. The hints of leather, oak, and caramel can not hide that this is a full strength smoke. Sold by the box and as single sticks for that special occasion! This 7 x 48 Churchill stogie was brilliantly crafted exclusively for members of the (TAA). It houses hints of leather, oak, and caramel throughout each of the 13 sticks in each box. As a puro, both the binder, filler and wrapper are from the Dominican Republic. Buy all 13 or get just a handful! 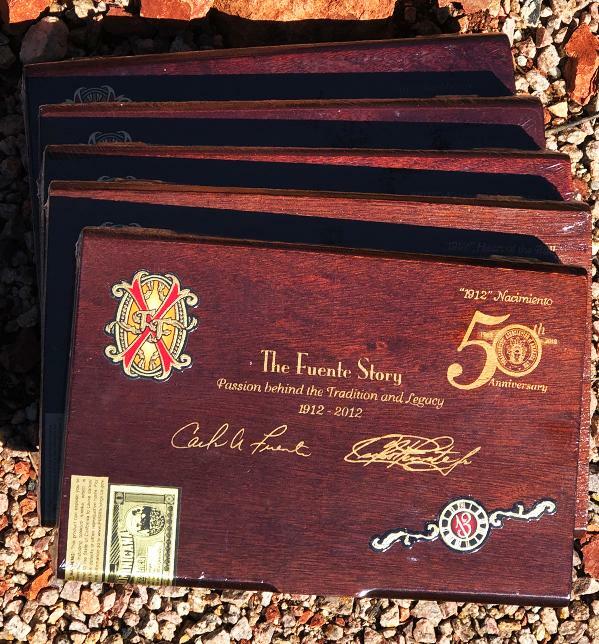 The tobaccos in this 6¼ x 49 toro sized cigar were blended at Arturo Fuente’s ‘Tabacalera Fuente’. These cigars feature a dark Maduro wrapper with a binder & filler exclusively of Dominican tobaccos. This 13 count box will be a rare pleasure and even just a single or two will be a treat! This is a 7.625 X 49 double corona, full-strength toro cigar. This Dominican puro was that was made exclusively for members of the Tobacconist Association of America (TAA) like Anthony’s Cigar Emporium! With each box of Winston Churchill purchased you will be entered into the giveaway for some amazing travel luggage from TUMI! Get 5 FREE Davidoff cigars, plus a FREE Davidoff Ashtray along with your entry into the giveaway for one of two TUMI travel luggage pieces. Winning this giveaway will enable you to embark on your next journey with a Tumi Tegra-Lite Expandable luggage piece to securely store your favorite belongings. YOUR PRICE: $32.50 NO COUPON CODE NECESSARY! This cigar is a really great sweet tasting everyday cigar! Use a V cut or a punch cutter to get the most out of this cigar’s construction. If you like mild and sweet and want to try something unusually delicious, we definitely recommend these! These unique Lonsdale sized sticks arrive stored in a 30 count humidor glass jars for your convenience. Smoking the Warped Serie Gran Reserva 1988 (GR88) is an almost ethereal experience but this review will do our best to break down the experience for all. Spoiler alert: just like the name of the cigar suggests, it’s GR8 (great)! Created to commemorate Kyle Gellis 30th birthday, the Warped Serie Gran Reserva 1988 (GR88) is a 5 1/4 x 50 Robusto. It is rolled at the Tabacos Valle de Jalapa S.A. (TABSA) factory in Estelí, Nicaragua and is a Nicaraguan puro consisting of 100% Aganorsa tobacco. The blend is composed of a wrapper made from Nicaraguan Corojo 99, a binder of Nicaraguan tobaccos and premium long filler consisting of Nicaraguan Corojo ’99 from the Jalapa Valley and Criollo 98. First Third: I’ve smoked tons of these cigars already but every time I light one up I still get excited. The thinly veined Connecticut natural wrapper is shiny and flawless with just enough oil to promise a great experience. The dry draw is a pleasant mix of hay and leather and the first few puffs deliver plenty of smoke. Second Third: A sure sign of a great stick, I almost forget to take pictures of the smoke as I go because I was so wrapped up in enjoying. The Gr88 is medium in strength and body – but full of nuanced flavors. Flavors ranged from grassy to earthy, with notes of dark coffee, bread (sourdough perhaps), and white pepper. Final Third: Kyle has his hands full with the cigar business along with his other ventures into coffee and wine but quality on the sticks hasn’t suffered. In the last third other notes of bitter dark chocolate, espresso beans, cream, and leather gently come through. After each one of the GR88, my enthusiasm for Warped and what they are bringing to the industry is renewed. I tell everyone who would enjoy the flavor palate and medium strength about this stick and they thank me afterward each time. Buy yourself a box now, and you too can thank me later. Get the RARE Little Hassles and a StashTray for Free! Tatuaje only crafted 1250 Little Hassells cigar packs so first come, first served! The Little Hassells express a deep earthiness, strong espresso bean note, and overtones of chocolate and pepper spice. The stick is indicated at medium but fans of the bolder Verocu No. 5 might find this closer to their strength preferences. Enjoy these flavor bombs in their smaller size during any climate the weather can present! Amazingly Low Prices + 8 Free Cigars!! – Oliva Serie V!! By Auston Kleczka on Feb 2, 2019 | In Promotions | Comments Off on Amazingly Low Prices + 8 Free Cigars!! – Oliva Serie V!! 8 FREE CIGARS when you buy any 24 count box of Oliva Serie V ! Save with our outstanding Oliva pricing today! Not sure which to try first? Try a five cigar Oliva Serie V Sampler! Featuring two non-standard production sizes (diademas) and priced at over 50% off. This is a steal! A full title and a full strength cigar makes for quite the mouthful! I was rearing to go to smoke the special version of this already special stick, even if I was forewarned about the medio tiempo ( one of the highest priming leaves and only grows on a small percentage of tobacco plants – known to provide strength, body, and flavor) making this Nicaraguan puro so outstanding. I paired my smoke with water and a smoking buddy joined me, in case I overlooked any of the notes from the tobacco (read: ‘in case my palate gave out on me’) We agreed that the 5⅝ x 46 stick was oily, dark and veiny and smelled intriguing on the dry draw. First Third: The initial first was very full bodied. I got hints of the char from toasted marshmallows, a lot of leather, and a ton of red pepper. It was almost too much for me but the intensity never fell into “burning” categorization. The flavors were very intense but the strength of the nicotine wasn’t too much to handle. Toward the end of the first third, this cigar began to tone it down. Second Third: The second third was more what I would normally aim for – a rich, complex but hearty medium-full strength nicaraguan cigar. The white pepper and dark bitter baking chocolate hints appeared at this time. I frequently purged my cigar as I smoke, ensuring there wouldn’t be too much ash build up (afraid of potential bitterness). Still working on it – second band gone! Last Third: The final third brought more of the leather and nicotine consistency that you’d expect from the medio tiempo tobaccos within. I started off thinking that the strong presence in the back of the throat from the super thick clouds would best me, but this stick was such a joy I knew that this was one that I wanted to have a whole box of! Our Best Deal Yet On Acid! By Auston Kleczka on Jan 31, 2019 | In News, Promotions | Comments Off on Our Best Deal Yet On Acid! Now is the time to buy select boxes of your favorite sticks to pick up on these massive savings!